This is a new ARIBA 6.5 metre rib. She comes with a full warranty and is supplied with a new trailer. The engine currently fitted is a 2007 Mercury 135 Veradero that has 12 months warranty. As you would expect this boat is fitted with hydraulic steering ipod docking stereo, colour gps , and the latest design adjustable seats. She offers a great high performance package , and great value for money.These boat details are subject to contract. 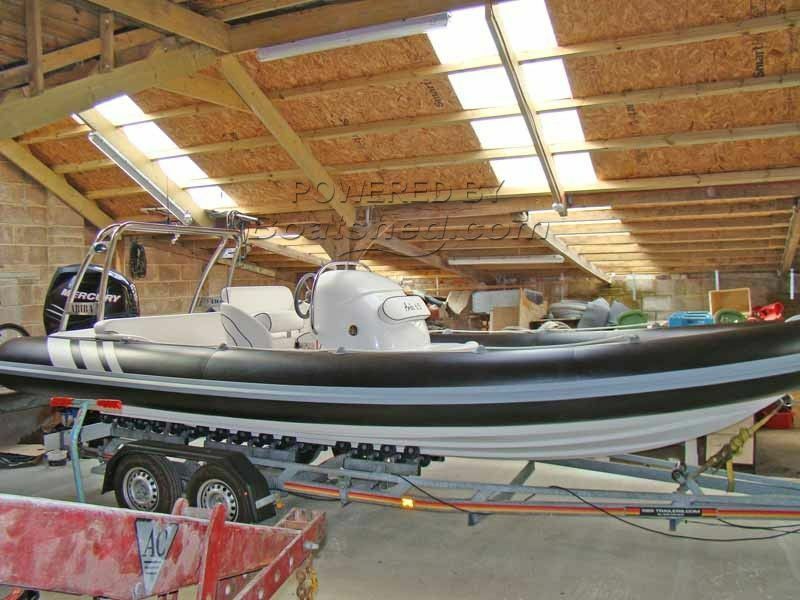 This Ariba Rib 6.5M has been personally photographed and viewed by LLOYD JAMES of Boatshed Lymington. Click here for contact details.